Though some think they saw a ghost, it was a real, live woman in the (mostly exposed) flesh flitting through Sierra Vista Park. Eleanor Corbin has a taste for trouble—and a talent for getting out of it using the most outrageous means to cover her tracks. 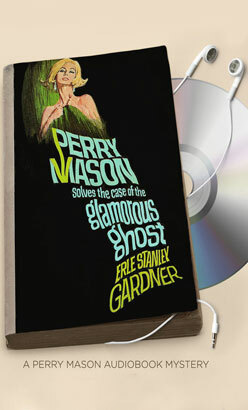 Now her scandalized half-sister, Olga, fears Eleanor may be using lascivious antics to camouflage more larcenous acts.Enter Perry Mason—retained by Olga to keep the press at bay while pressing Eleanor for the sordid details of her latest escapade. The glamorous “ghost” claims she can’t recall anything except eloping with a smooth-talking gambler…and a terrifying car crash. But a hidden cache of precious gems has another story to tell. And so does a murdered corpse that speaks louder than words.